As described in the Purpose of FICO Scores section, FICO (the company) examines credit reports to see what ‘late payers’ have in common. With this information, they create an algorithm that is intended to predict a consumer’s likelihood of being a 90 day late payer, and thus their creditworthiness. As you can imagine, this equation is not based solely on one or two factors. Rather, FICO creates a ‘basket’ of attributes, which are used together to determine an individual’s FICO score. In the world of creditworthiness, however, not all factors are created equal. FICO has spent decades determining which factors play the biggest role in predicting ‘late payer’ status. Similarly, FICO classifies other factors as less important but still relevant to credit predictions. 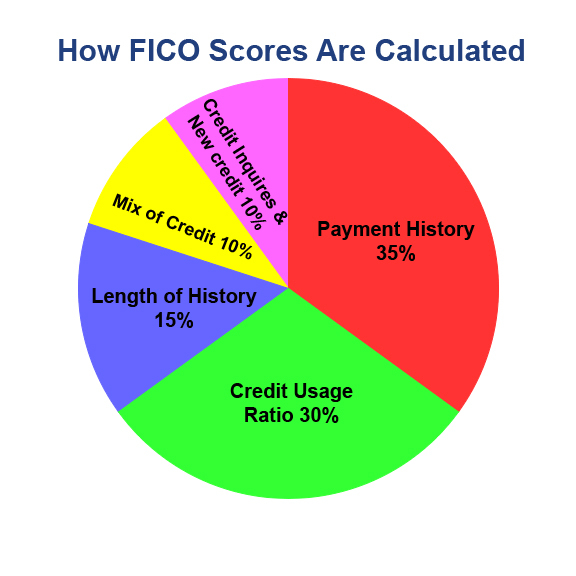 In this way, FICO assigns each of its factors a weight, shown by a percentage of 100. The higher the percentage assigned to a factor, the more weight FICO gives to it in order to determine your ultimate credit score. The figure below is known colloquially as the ‘credit score calculator’. In practice, this pie chart does just that – calculate your FICO score.  Each section of the chart represents a FICO factor: five in total. As you can see, the biggest factor influencing a credit score is your payment history (35%). The chart is then rounded off by your credit usage ratio (30%), length of history (15%), mix of credit (10%), and credit inquiries as well as new credit (10%). These factors are described in detail below.